This page is just for me and is usually not visible to the public - if you're seeing this then it's because I'm working on it right now (or have fallen asleep infront of my laptop, again.) Get busy with your pens and paper because once I've finished updating some information, this page will become unviewable again. Sumptuous, other wordly and home to probably the only multi-coloured sheep you’ll see this year, Latitude Festival showcases a rich and diverse mix of music, theatre, comedy, spoken word, cabaret and much more in the magical surroundings of Suffolk's idyllic Henham Park. 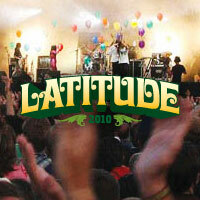 Rich in creativity and surprises, Latitude boasts 15 arenas and a high standard of acts who usually verge on the ethereal. 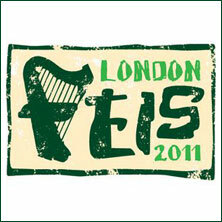 This year's event takes place from 14-17 July. 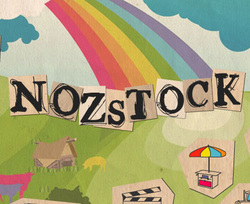 Nozstock is an eclectic, family run festival of performing arts, which offers a diverse range of bands, dance acts, performers, comedians, stages, shops and food stalls for an intimate crowd of festival-goers. It is colourful, unique, crazy and thrilling; incorporating four stages, three dance arenas, a theatre and comedy area with round the clock giggles and a new kind of burlesque glamour, cinema, kids corner, two bars, food and drink, diverse stalls and circus skills. Held in the beautiful Herefordshire countryside and run by the Nosworthy family on their working farm, Nozstock has a distinctly chilled, creative vibe, making it a big draw to a range of people including plenty of families. 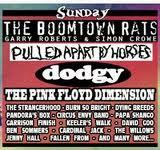 Line up: Vault of Eagles, Autumn Lily , MLE, Naked Remedy, Dodgy, Ocean Colour Scene and more to be confirmed. The dates for what could well be the biggest vegetarian events in Europe in 2011 have been announced – with VegfestUK dates for Brighton on March 19th 2011 and Bristol on May 27th, 28th and 29th 2011 VegfestUK events are free to the public and large numbers are expected to attend both shows and sample the delights from over 100 stallholders rammed full of food, bodycare, fashion, accessories, merchandise and information – all of it vegan.And with a full line up of talks, demos and entertainment, both VegfestUK Brighton and VegfestUK Bristol look certain to be runaway successes. 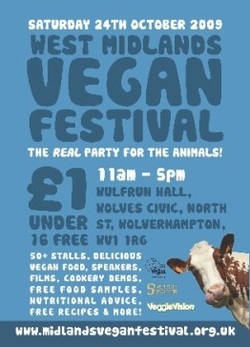 The West Midlands Vegan Festival will offer all you need for healthy, cruelty-free, eco-friendly living. You don`t have to be vegan to attend, everyone is welcome! 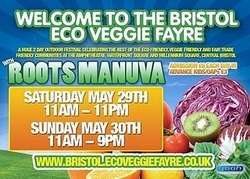 Come and see why people are increasingly adopting a vegan lifestyle. The festival will feature all the following attractions: A feast of delicious vegan food, including lots of free samples! Cruelty-free cosmetics, toiletries & healthcare products, campaign & info stalls, ethical clothing & footwear stalls, free recipes, health factsheets & nutrition advice. 4 varied & mouth watering cookery demos, 3 talk areas, each with a full programme of speakers, films, workshops etc. 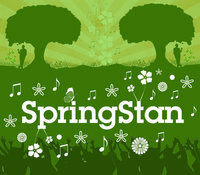 A wide variety of live music throughout the day and a large cafe & bar. 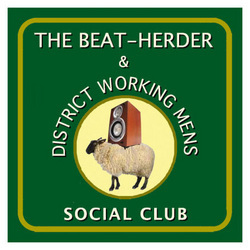 A miniture festival of music and arts, set in the beautiful countryside of Herefordshire. A coming together to celebrate Spring and the onset of Summer. A good ol' rinse out. 6. To throw a party that you will never forget! 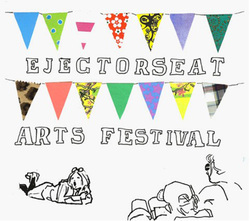 We're not going to tell you exactly what will be going on at Aestival, as that would spoil the surprise, but the words eclectic, random, fun, surprising, comedy and slightly silly go someway to describing it. Flatpack Festival is a film festival that takes place annually in Birmingham, England. During the festival a variety of different films and media forms are shown, including animation, documentaries, short films, music videos and experimental cinema, amongst others. The festival takes place across numerous venues in Digbeth, a former industrial area of the city that is now attempting to become Birmingham's art district. Major venues to screen films include the Electric Cinema and the Ikon Gallery. Flatpack Festival is produced by 7 Inch Cinema, and supported by Arts Council England, UK Film Council, Birmingham City Council, ScreenWM, Businesslink WM, and the French Cultural Institute. The festival's current directors are Ian Francis and Pip McKnight. 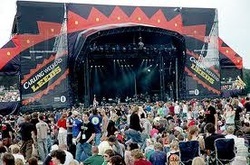 Creamfields is a large dance music festival featuring DJs and live acts. It is held annually on the August Bank Holiday weekend in Daresbury, Cheshire, England, just outside of Liverpool where it had previously been held for a number of years. The festival is run by the people behind Liverpool's famous Cream clubbing brand. 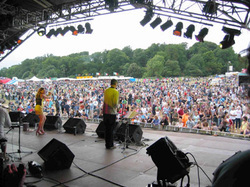 Blissfields is an intimate festival for all the family in the heart of the Hampshire countryside. 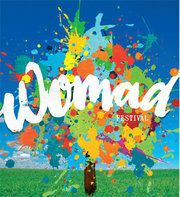 This is a festival for 1,200 people who want something as far removed from the big commercial festivals as you can get! 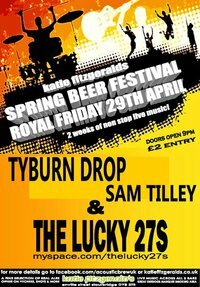 There will be quality food and beer on sale all at a reasonable price. A country knees up if ever there was one, Barn on the Farm is three days of folk music, camping, beer, cider and strawberries set in a gorgeous barn in deepest Gloucester. All money from ticket sales goes towards two charities: Global footsteps (www.global-footsteps.org) and Friends of Nowder (http://friendsofnowder.org). 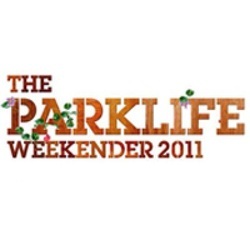 Held at the 100 year old Platt Fields Park in South Manchester, the Parklife Weekender will feature six arenas under canvas and a huge open air main stage showcasing the finest selection of local, national and international artists from across the globe. Anyone who attended Parklife last year will tell you that it was one hell of a party, and this year the fun will last for twice as long. Free festival! 3 stages, Bristol! 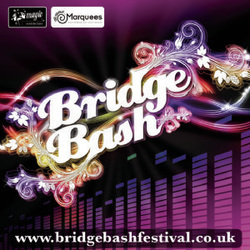 over 18 live acts, circus acts, cinema, fantastical decoration, visual performance and plenty more! 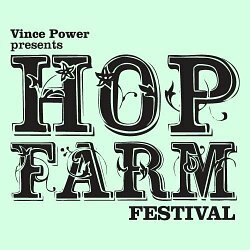 The Hop Farm Music Festival, whose past artists have included Neil Young, Bob Dylan, Paul Weller, Florence and the Machine, Mumford and Sons and loads more, is a totally independent festival with a policy of no sponsorship, no branding and no added VIP areas - so that all festival goers enjoy the same experience, great bands and a great time! 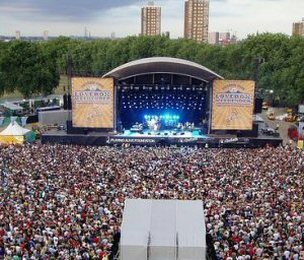 Vince Power, the man behind The Hop Farm Festival, has staged the biggest and most celebrated music events on the planet for the past quarter of a century. The Mean Fiddler, Vince's club that started in 1982, grew into a Â£60m music empire overseeing the world's leading summer festivals (including Glastonbury, Reading, Leeds, and Homelands etc), concert halls, clubs, restaurants and bars. BLOC is a new kind of festival, held inside a state of the art holiday resort complex on the West coast of the UK. Destiny is locked in a battle with a drone command ship and surprised by the arrival of the aliens that abducted Rush and Chloe. The newly-arrived aliens engage the drone fleet, allowing Destiny to close with and destroy the drone command ship. While the victorious but crippled Destiny and the remaining alien ship are effecting repairs, the Ursini report dire news: the attempt to contact their lost colony alerted a second drone armada. This drone mothership had destroyed the Ursini colony, leaving those possessing the Ancient seed ship the last of their species. Young sends Scott, Greer, and Park to retrieve an inert drone for study, correctly assuming that the second drone mothership will soon arrive and try to finish them off, but the alien ship blocks them. Rush and Young then send Chloe to the aliens, in hopes they will reverse her transformation, while Eli and Rush work on a way to jam the next wave of drones. When the second drone mothership arrives, the Ursini futilely attack it in the seed ship to buy Destiny time, although they die in the process, Scott valiantly engages drones in the Shuttle, when Eli and Rush manage to reactivate the remnants of the first wave of drones and turn them on the second. Destiny limps into FTL on minimal shielding, where TJ finds Chloe physically restored to normal, but Chloe confides to Rush that she still seems to have enhanced mental abilities. There will be live music, comedy, children's entertainment, market stalls and a range of caterers. Local legend Robert Plant has donated an Ibanez acoustic guitar to be raffled off. 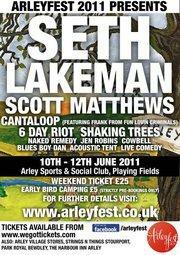 Camping is available on both evenings but must be pre booked. 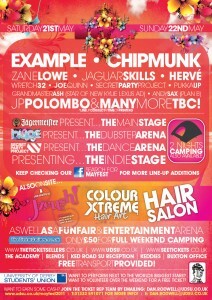 Tickets are £25 for the weekend to be bought before 9th June 2011. Proceeds, after reserving a sum for staging next year's event, will be given towards the hall's rebuilding fund. The Plum Festival is month long celebration, aimed at raising awareness of the market town of Pershore and it's association with plums. 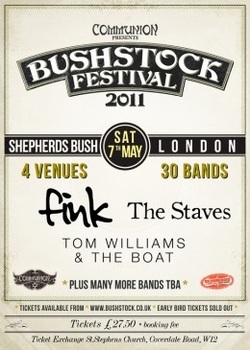 Plumstock is a two day rock music event. 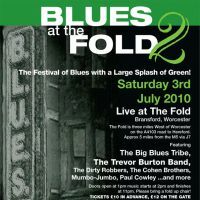 One day festival of nationally acclaimed blues music just outside Worcester. 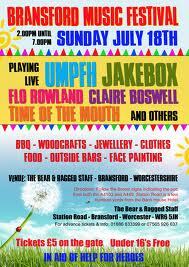 Bands to be announced.. Great food and drink - local, delicious and ecologically sound at this lovely venue. 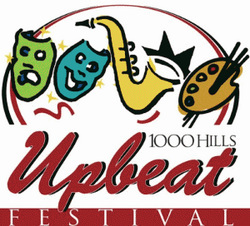 Lots for the kids to do - including a make an instrument workshop and then perform with one of the bands. Camping Available. 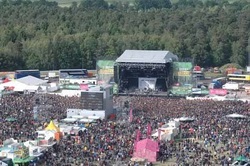 The Hurricane Festival, also just Hurricane, is a music festival that takes place in Scheeßel near Bremen, Germany, usually every June. It is promoted by German private music television channel VIVA, which belongs to Viacom, the MTV Network's parent company, as of 2004. 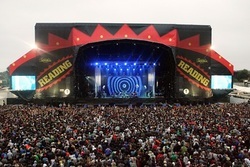 The festival and its guests are generally associated with the alternative part of mainstream music, although the festival has been becoming more and more mainstream over the years. Shambala began in 1999, with 150 people in a field. 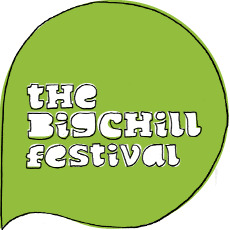 We are a creative, non-commercial, ethical and family-friendly festival with a wild side. A weekend of fun for all the family! GodZilaZ is proud to present our second gathering featuring the Floating Lotus, The Pyramid Stage, Decadance (the big red bus) and our friendly kids area. 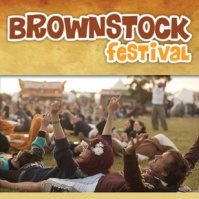 Free camping all weekend, free car park, a wide selection of food and drink on site. 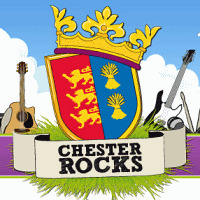 Live bands all weekend, DJs, a free kids area with various games and activitys, weekend and day tickets will be available, under 14s are free. 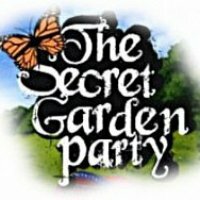 The Secret Garden Party is a temporary community that is as free, irreverent, friendly and engaging as it is possible to be. It is conceived as a moment in the year where you can connect to your creative powers, explore your wildest fantasies and meet thousands of people who all want to meet you. It is a gathering that exists for only four days - away from cities and schedules, brands and boundaries - founded on participation a...nd with then potential to change your life. it is a festival of the arts...where everyone is the artist. The event is back for a third year and organiser Baz and Dav ares hoping to build on last years success. 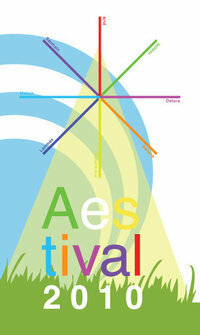 This year the event is a two-day festival with a real community feel and it is FREE to get in!! 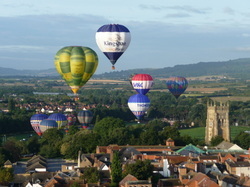 The Tewkesbury Food & Drink Festival, overlooked by the historic Tewkesbury Abbey, has been extended to three days and features live music, real ale, restaurants, producers and more. From an eclectic and unique line-up packed with talent and a comedy stage full of the funniest names in stand-up, from camp-fires and jugglers, actors and locally sourced organic food, Lounge on the Farm has it all. Line up: Rara and the Vine, Classic 88's and more tba. 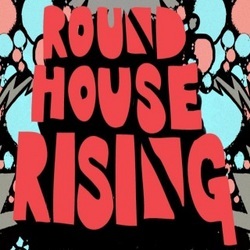 Roundhouse Rising is a new week long festival taking place at the Roundhouse in London between Monday 21st and Saturday 26th February 2011. 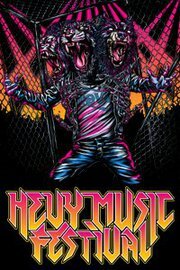 The event presents new music acts across a wide range of genres. Programmed in partnership with new stars of the UK music scene, including promoters Eat Your Own Ears and 12 Tone Records, Rising is a series of unique performances, international artist collaborations, music industry seminars and creative workshops. 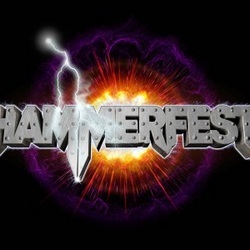 Hammerfest is a two day music festival currently held at Pontin's Holiday Village, Prestatyn, Wales. The festival is owned by emc3i Ltd, sponsored by their music magazine Metal Hammer and run by the orgnisers of the Hard Rock Hell festival. The idea of holding the festival at in a holiday camp gives the organisers pre-built venues and stages and because of the on-site accommodation allows them to hold a multi day festival over winter/spring months when outdoor camping is not desirable. 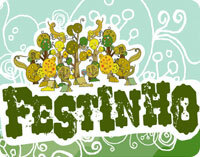 The next edition of the festival will be held on March 11 to 13 2010. Wilderness, a pioneering new festival of music, food, learning, literature and rejuvenation, is set to redefine the festival experience for 2011. 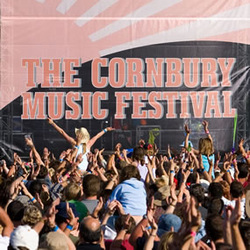 Set among the lakes, forests and parkland of Oxfordshire’s exquisite Cornbury Estate on August 12-14, Wilderness will be an inspirational weekend for all the ages. Line up: Bad Lieutenant, The Cribs, The Charlatans, A Certain Ratio, The Phantom band, Black Lips, and Jim Noir. Other acts for the Satellite & Lake Stages are Buzzcocks, The Wedding Present, Get Cape. Wear Cape. Fly, Aziz Ibrahim, My Tiger My Timing, Factory Floor, Frazer King, Wild Palms, The Travelling Band, Black Daniel, Natalie Findlay, Electricity in our Homes, Howard Marks, Dave Haslam (Hacienda), Stephan Morris (Joy Division / New Order), Good Vibrations, Douglas Hart (The Jesus & Mary Chain), The Wasted Little Deejays, Same Teens DJs, Friends of Mine DJs, The Disco Mums, Breakfast With Yoshimi and Zaireeka, Black Cat DJs, Black Daniel DJs, Martin Moscrop (A Certain Ratio), Tim Burgess, The Gavin Watson Project, and Mike Joyce (The Smiths / 6 Music). The family friendly Friends Of Mine Festival a brand new 10,000 capacity weekend festival happening at Capesthorne Hall, Cheshire from Friday 20th until Sunday 22nd May 2011. 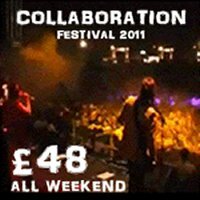 When the organisers of Manchester bands showcase Friends Of Mine hosted a stage at the city's final ever D:Percussion festival in 2007, it planted the germ of an idea to do their own festival on a bigger scale – a proper, bands-in-a-field, camping-over, fun-packed, three-day extravaganza. 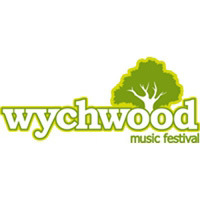 Mr Kyps and Big Bear Events have joined forces again to organise a 3 day music festival to be held at Upton Country Park over the August Bank Holiday in association with the Bournemouth Daily Echo. After many years of organising the Poole Park Fest on behalf of the Friends Of Poole Park they were dumped in 2010 with the committee wishing to go it alone. Their appetite for producing a similar event has never wavered and now with the full support of the Borough of Poole plans are well underway to produce a fantastic line up for this magical 3 day event. The lineup consists of some of the UKs top tribute acts alongside internationally acclaimed original artists. All of which is set in the sublime grounds of Upton Country Park. 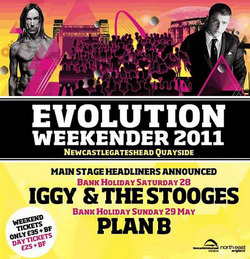 Evolution Music Festival return over two days again, with a crowd of 60,000 expected over the weekend and culminating in the outdoor shows at Spiller's Wharf and Baltic Square on the Gateshead quayside on the Bank Holiday weekend. Line up: Ronda and more to be confirmed. Worcester City Fooball Club are holding Beer and Cider Festival on Friday 8th and Saturday 9th July at St. Georges Lane. 'The Blue Dragon Beer and Cider Festival', as it will be known, will stock a range of local real ales and ciders and the bars will be open from 12:00 midday to 11:00pm. The festival has been organised to raise money for the cash strapped club and it's hoped the club can at least break even this season. 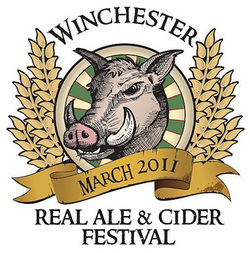 This festival is organised wholly by volunteers of the Southern Hampshire branch of the Campaign for Real Ale (CAMRA) and will feature 75+ different real ales, ciders, perries and foreign bottled beers. 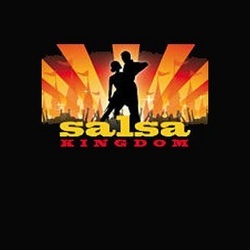 Salsa Kingdom is the UK’s Premier Latin Music and Dance Festival and is happening at various different locations in Southport, Merseyside, in the North West of England. The festival offers over 60 Dance Workshops‚ A New Musical The Magic Of Salsa Kingdom featuring a Salsa Orchestra‚ Singers and 20 of the world's best dancers plus a Showcase to promote some of Europe's best Salsa Talent. 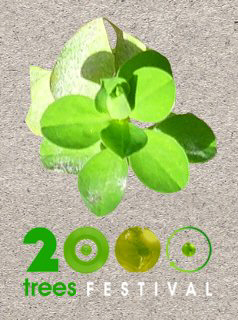 Expect over 2000 Dancers in total this year. 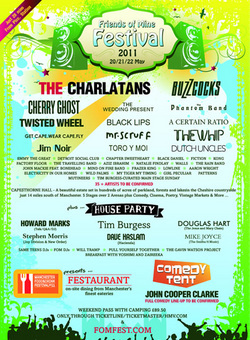 The Next Big Thing Festival is set for its second outing in 2011 and is brought to you from HMV and the MAMA Group. 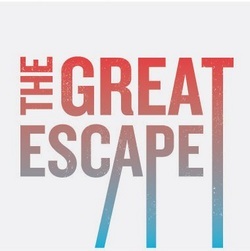 The festival showcases and celebrates breakthrough artists and the Borderline, the Camden Barfly, Heaven, the Jazz Café, the Relentless Garage, Upstairs at the Garage, the Picturehouse, and Institute are the venues to be used. The Next Big Thing aims to showcase the best new talent from the UK, Ireland and around the world through an annual, multi-venue festival, giving music fans an early and affordable opportunity at the start of each new year to catch some of the hottest acts tipped for breakthrough success. The festival has a remit to support different music genres, ranging from Indie & Rock, Folk & Jazz, Pop & Electronica through to Hip Hop & Grime. 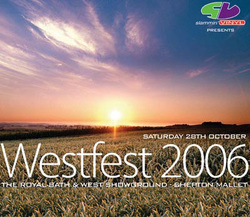 Glade returns in 2011 at a new location, going back to its roots, offering electronic music from the UK and the world for 5000 festival goers in multiple music areas, covering techno, house, breaks, psy trance, dub, ambient and more. Knee Deep Festival asks you to re-conjure your childhood. The freedom, the intrigue, the unashamed dancing, the vigourous stuffing of food, the thrill of the playground and all the fun of the fair. 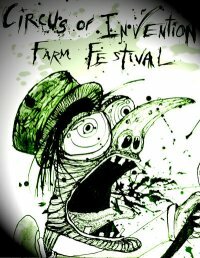 You'll be immersed in emerging talent, stuffed with fine festival cuisine and left weak at the musical maltreated knees. We've got alternative indie, modern folk, hip-hop, trip-hop and many more genre pies to dip your greedy little ears in. 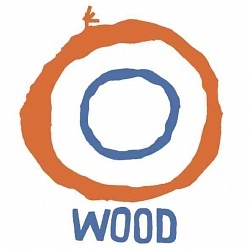 Wood is also about trying new things, learning news skills, getting involved and learning something. With over 100 workshops and talks going on across the weekend including DIY Wormeries, Upsidedown Tomatoes, Make Your Own Bunting, Willow Sculptures for Adults: Make a Giant Dragonfly, Performance of Shadowplay, Hedgehogs and Suburban Wildness, Lanterns from Jam Jars, Make Musical Instruments From Junk, Willow Sculptures for Kids: Make a Giant Dragonfly, Garland Pom Brooches, Yoga for Children, Drama 4 Evry1, Fascinators- Glamourous Reclaimed Head Wear, Junk Samba Band, Yoga for Adults, Home Composting and General Gardening Advice, Making Nettle Cord Animal Spirit Medicine, iFOUNDSOUND: A Sound Journey, Jewelry Making, Decorative 3D flowers/plants, Musical Munchkins, Icknield Way Morris Men - Cotswold Morris, Dancing Workshop, Harmony Singing Workshop, Blow your Own - Veg into instruments, Willow Sculptures for Kids: Make a Dream Catcher, Felt making, Clay Sculpture, Printmaking, Bicycle Repair, Pedal Power: Bicycle Generated Power, Campfire with Forest Schools, Building a Wooden Surfboard, Thatching, Indian Devotional Singing and Chanting, Upcycled Crafts: Keyrings, Purses and Hats, Bodrhan Drumming, Fertilising Local Community Identity, Tai Chi, Make a costume, mask or totem for the Fancy Dress Parade, and a Knitting Circle.